If you notice that you have coughing, wheezing, and shortness of breath while you are at work, and your symptoms lessen when you get home from work, you may have occupational asthma. If the place where you work has irritants in the air, such as chemicals and/or dust, this could make your asthma symptoms worse than they ordinarily would be. The symptoms of occupational asthma are the same as other forms of asthma. 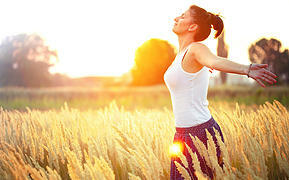 You may feel a tightening of the chest as the muscles in the bronchial tubes tighten. Bronchospasms, narrowing of the bronchioles, can be quite painful, and make it difficult to move air in and out of the lungs. Other symptoms that you may have with occupational asthma are stuffy or runny nose, and/or itchy, irritated eyes. Because everyone is an individual, and their bodies react to things in the environment differently, the onset of asthma symptoms may vary from person to person. If you and your coworkers work in a dust filled environment, you may be the only one, at the present time, having asthma symptoms. Your body’s reaction could be completely different than your co-workers. Other employees may be having asthma symptoms after being exposed to the irritants for days, weeks or months. Many people who have occupational asthma get worse symptoms as the work schedule progresses. Thus, the same employees may get better on their days off and get sick again when they return to work. Some people with occupational asthma tend to be symptomatic at work and at home, but may be worse at work. 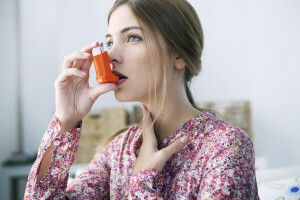 People who are exposed to asthma triggers over long periods of time sometimes continue to have asthma symptoms even when they are no longer exposed to the trigger. For instance, you could work in a very dusty place, such as a cotton mill. Cotton dust and other impurities could be in the air, and you may have been exposed to these irritants for years. After years of work, you could retire and still have asthma symptoms, because your asthma might have become a chronic condition. There are many different substances in the workplace that can trigger asthma attacks, such as animal proteins. If you work in a place that processes animal substances, you may be exposed to scales, fur, dander, body wastes, and saliva. You may also be exposed to chemicals and enzymes. People that work in tanneries are exposed to many of these animal substances and chemicals to process leather. There are risks of occupational asthma in the food industry, where animals are killed and processed for food. People that work in poultry plants and slaughterhouses are exposed to animal proteins and animal waste that could cause occupational asthma. The chemicals used to clean and disinfect slaughterhouses and poultry processing plants can create dangerous chemicals (nitrogen trichloride) in the air, which when inhaled can cause occupational asthma symptoms. The probability of asthma symptoms getting worse in the workplace increases when there is not adequate ventilation within the building. In occupations where the risk is high for developing occupational asthma, employees may be required to wear protective goggles and breathing masks. OSHA (Occupational Health and Safety and Health Administration) requires that employers and employees follow certain respiratory protection practices. For instance, some employees may need to wear respirators. OSHA has specific safety requirements for every type of job, such as in shipyards, construction, and general industry. You should see a doctor if you experience shortness of breath, coughing and wheezing. Asthma can be life threatening; therefore, if you have shortness of breath with no exertion, your asthma symptoms worsen even after using a rescue inhaler, you should get emergency treatment. An asthma attack can lead to respiratory failure and cardiac arrest, so don’t take your worsening symptoms lightly.